Bitshares is an industrial grade next-generation cryptocurrency designed for mass adoption to be used as the first true decentralized digital money standard. 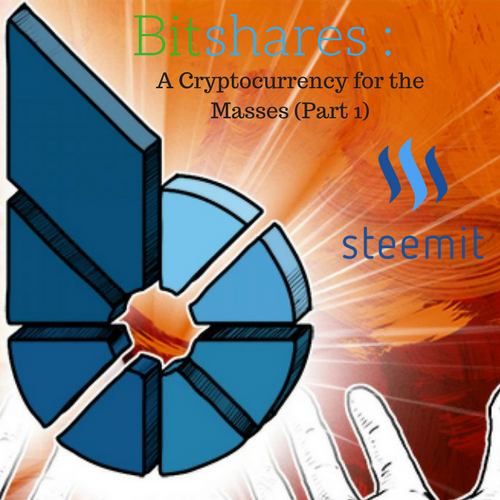 In this article series I will cover many topics including the history of Bitshares, the technology behind it as well as the technical advantages that set it apart from all other cryptocurrencies including the grandfather of all cryptos, Bitcoin. The cryptocurrency market moves at the speed of light so without the proper research into each individual altcoin there is a danger of getting left behind because not all altcoins are created equal. When was Bitshares created and what purpose does it serve? The idea of BitShares came to the mind of it’s creator Mr. Dan “Bytemaster” Larimer as if he was struck by lighting on June 2nd, 2013. Dan was an entrepreneur and he had just come up with an amazing idea. An idea that would be later known as bit-USD, this would become one of the biggest competitive advantages of BitShares when compared to other cryptocurrencies. Shortly after, the BitShares whitepaper was published and discussion of this new and exciting currency began on bitcointalk.org. Dan had an amazing idea but to accomplish his goal of creating an exchange in which crypto could be converted to dollars and back again without ever handling dollars would be a feat of mathematical genius. ‘Imagine you wanted to open up a new exchange that did not accept USD deposits but still allowed people to trade USD vs Bitcoin. How would it work? would leave their account with - 1 USD and 2 * Exchange Rate BTC. I would then force them to 'cover' once 2* Exchange Rate == 1.5 USD. We can then be sure that they will never be able to walk away with a negative USD balance unless the exchange rate fell "instantly" by over 50% and even then the losses would be limited. I would then allow users to 'transfer' USD balances between eachother provided any negative balance maintained sufficient collateral. This means that someone could exchange paper-USD outside the exchange and receive a positive USD balance inside the exchange. For this to work someone has over 1.5x the collateral posted backing that USD. What solution had Bitshares provided? This was a solution that could bring stability to the market and act as a means for securing profits in all cryptocurrencies. This was something that no other currency had accomplished at this point and it would change the cryptocurrency landscape forever. In the next Bitshares article I will talk about how this idea developed further and the steps that were taken that attributed to it’s meteoric rise to becoming presently one of the top trading cryptocurrencies in the world. At the time of this article Bitshares is currently trading at $.177 with a market cap of $462,107,769. Bitshares is currently running at 700,000 - 900,000 transactions per day, which is more than Bitcoin and Eth combined. And it is doing so with zero delays, zero security issues and transaction times that average ~ 3 seconds. If you value a crypto token by transactions, ie. actual real world use, BTS is the No. 1 crypto in the world by a huge margin. It has been stress tested to > 10,000 transactions per second and the current Graphene chain can handle 100,000 transactions per second. Those are very impressive stats! I'd like to put together a technical article about the bitshares system with this information. Can you recommend a source or two? I've been through the Bitshares website and the bitcointalk.org forum. These seem acceptable but an independent / unbiased source would always carry more weight. Thanks for the tech info! I LOVE the concept of bitshares, but MAN is the UI really tough to use. I really wish they'd get some proper designers to make this thing easier to use because it's such a great technology, and it's tough to use site creates a barrier to entry. Thanks for that. I'm a Bitshares Believer who's still struggling to get my mind around ways I can maximise the Bitshares platform. it looks to have good future in the crypto market. Congratulations! This post has been upvoted from the communal account, @minnowsupport, by locke from the Minnow Support Project. It's a witness project run by aggroed, ausbitbank, teamsteem, theprophet0, and someguy123. The goal is to help Steemit grow by supporting Minnows and creating a social network. Please find us in the Peace, Abundance, and Liberty Network (PALnet) Discord Channel. It's a completely public and open space to all members of the Steemit community who voluntarily choose to be there. This post has received a sweet gift of Dank Amps in the flavor of 16.67 % upvote from @lovejuice thanks to: @ldauch. Vote for Aggroed! This post received a 4.9% upvote from @randowhale thanks to @ldauch! For more information, click here! Excellent, clean and clear writing. Your insight into Bitshares is excellent and will follow for further insights. I own Bitshares for other reasons, mainly because it's recommended by a financial newsletter that has helped me build a portfolio of the cryptos that will be around and thrive. Thank you! I have enjoyed researching Bitshares and think there are a lot of exciting developments to come. In addition, I've been told that a top advertising firm has been hired with celebrity appearances and more in order to usher in the new wave of interest into their system. I'm holding as well and am not concerned about this temporary downturn in the market. Keep in touch friend. Thanks! Hope to see you around more as well!